For more information or to schedule an appointment with our Conway chiropractor, call 843-248-0104 today! Dr. Daniel Falk and Dr. Robert Stinson are chiropractic physicians serving Conway and the surrounding communities. Our chiropractors and the rest of the friendly team at Falk Family Chiropractic & Wellness are dedicated to chiropractic solutions to target your unique needs, whether you are suffering from back pain, neck pain, headaches, or even just plain old muscular tightness and tension. You may need pain relief after suffering an accident, experiencing an injury, or if you have a specific condition such as chronic back pain or a spinal condition; even if you just want to improve your overall health, our chiropractor can help you achieve your wellness goals! Please visit the testimonials page to see what our patients are saying about our Conway chiropractor and getting regular chiropractic treatments. At your first visit to Falk Family Chiropractic & Wellness, Dr. Daniel Falk will explain the science behind how chiropractic care works, and give you a full evaluation to see if chiropractic care is right for you. If there is a good fit, we can develop a plan of chiropractic care that is specific to your condition and health goals. If you are new to seeing a chiropractor and want to find out more, please email us or call 843-248-0104 to receive the answers to your questions from our experienced team. We also welcome referrals, so we invite you to share our chiropractic and wellness information with your friends and loved ones. f you would like to stay informed about modern chiropractic care or if you want to start receiving free articles about health and wellness news, please subscribe to our bi-weekly newsletter, even if you are not a patient. Once you are subscribed, you will be able to explore our member wellness section and take advantage of our animated exercise videos, wellness articles, and other resources. New patients receive 50% OFF first visit when they bring in their completed paperwork. Request an appointment using the form or call us at 843-248-0104 to take advantage of this exclusive offer. 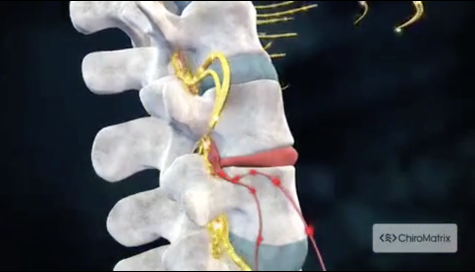 Dr. Daniel A. Falk is dedicated to unlocking the causes of back, neck and other joint problems. With a focus on maximum results, Dr. Falk chooses among a dozen different chiropractic techniques to use the most appropriate and most gentle treatment specific for each patient. Dr. Robert Stinson received his doctor of chiropractic degree from Life University in Atlanta, Ga. He received his undergraduate training in Biology and Chemistry from the University of Virginia’s College at Wise. While pursuing his chiropractic studies, Dr. Stinson began focused studies on structural correction through the CBP protocol. Dr. Rob has kept me going for 5 years by helping to change old bad habits, and keeping my back problems and pain to a minimum. I have had a life of heavy lifting and it took its toll - doing much better! Dr. Rob has helped me tremendously with my mobility, and I appreciate everything he's done for me to help me get better. Chiropractic is the best! No meds needed! I am able to walk much further. My back is much better as well as my neck. My feet are better, but when I walk they hurt, but not so much as before I saw you. I do have to say, I was skeptical in coming, and nowso happy I did. Well over 80% better. Some days 90% better. Dr. Falk, Dr. Rob and Susan have done wonders. Thank you! I have seen improvement in my lower back pain since receiving chiropractic care and massage therapy. Dr. Rob and Susan have been great to work with! I have been seeing Dr. Falk for about 9 years. Even though I've had many set backs, he always keeps me going. When I first started coming, I had terrible neck pain, mid-back and low back pain. It was affecting my work and quality of life. After 2 - 3 weeks of adjustments, the pain has improved tremendously! I find it easier to stand up straight. Because of a car accident, I had pain in my right foot for years. Dr. Falk adjusted my foot, and it has remained pain free with his expert care. "My foot has very little pain (after 2 years). My back has greatly improved, and it had been in fairly constant pain for about 3 years." "No high blood pressure meds, no cholesterol meds. Great rotation of neck. Videos are great!" "I would have migraines just about every other day. My neck and back were in constant pain, but that started changing very quickly after consistently visiting Falk Family Chiropractic. Things are healing and getting better." "When I first came to Falk Family Chiropractic, I was in a lot of pain with my neck and back. Thanks to the treatments with Dr. Rob, I feel a lot better. Thanks so much you guys!" "Dr. Falk and Staff have been fantastic. My pain has decreased, and I actually look forward to my adjustment. I love that education is important to this practice, not just Chiropractic, but overall Health and Well-Being. Thanks you....."
"My right shoulder, right wrist, and neck do not hurt like they did when I first sought treatment. I have less headaches, less pain in my knee and hip joints. I am hoping I can get back to doing things like I used to before I hurt so much. Thank you Dr. Falk." "When I came to Dr. Falk, I had lower back pain and sleepless nights. Now, I sleep well, no more back pain, just other things that tied in with poor posture, and looking forward to continue on the right tack to a healthier me." "Dr. Rob has taken my pain level from 10 to 3. I have better range of motion, and my sleep has improved due to less pain. I have only attended one Health Report, but it was extremely beneficial." "Since I started coming to the Chiropractor, my back has really improved." ""I feel great! After all the sessions I've had, the pain is gone. It's been quite a success story. I appreciate Dr. Rob and the staff for doing such a great professional and caring job."" "In 2010, after having rotator cuff surgery, due to a fall, Dr. Falk helped my wrist and elbow to return to health, after weeks of being in a sling in wrong position. Few years later, I was told I needed ankle surgery - Dr. Falk's adjustments, along with time, allowed my ankle to heal itself. So many other back problems have been helped by adjustments." ""Doing great! It has improved my life so much better, I feel like I can move more when I am doing sports."" ""My acid reflux is gone. No more medicine. I am sleeping through the night with no back pain 90% of the time. My arm movement is almost back to normal. Neck movement is so much better in range, and in the amount of pain felt."" ""Nothing really lowered my pain levels, but Dr. Falk has made a noticeable difference in my range of motion, and flexibility. I will really miss his attention to detail while I'm gone this summer. Thanks to you all!"" ""Thank you Dr. Rob for your continued concern for my well being. You have realigned my spinal column, and have kept it aligned so I can now function. My life has become so much better."" ""Over the past 15 yrs., Dr. Falk has healed my frozen shoulder with 3 months of adjustments. He has adjusted my R foot, and decreased the pain so that I can walk farther. Regarding the above, my MD's recommended surgery for both the frozen shoulder and plantar fascitis. I came to Dr. Falk instead. When I have consistent headaches or my R pelvis and lower back goes out of place, Dr. Falk's adjustments either abolish the pain or make it tolerable to I do not need medication."" "I can tell I am a great deal better. I can turn my neck to see behind me to back up. It's helped my back a great deal. Dr. Falk is good at what he does." "Much improvement in raising my arms, and being able to turn my neck side to side. Was having great difficulty washing and curling my hair, or raising my arms over my head, which no longer exists. It feels so good to be able to move them normally." "I am doing much better. My pain has decreased a lot. It has been much better for me walking and sitting."